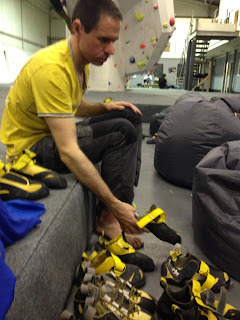 Members of Solihull Mountaineering Club had a climbing evening at Ackers. I did some easy outdoor leads. It was a fun evening.